Meeting public demand for specially designed bedroom apparel is tough unless you have a real talent for it. However, there are some people in the UK who are highly skilled within this arena. They are able to take a client’s vision and make it unique to what they specifically want. One of the toughest parts about this particular industry, is obtaining the right measurements from clients. For example, if you are in the business of creating custom bedding, then you need to make sure that it will fit the bed it is designed for. The same applies to the creation of drapes or curtains. Here are some other important factors involved with designing bedroom products. Bedding is an important part of every person’s life. The bedroom is a place of refuge for most people, and the bed provides that ultimate comfort zone for the people who need it. That said, much of the public desires a custom bedding option. This means that you will need to highlight your specific skills within this niche. If you make all of your bedding materials by hand, then make sure to allow enough time to get the job done the right way. This is the way to earn a loyal following of repeat customers. There is a stark difference between cheaply made bedding materials, and those that are made with care and consideration. Curtains are another major aspect of the perfect bedroom. 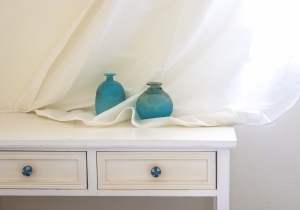 Curtains and drapes allow visitors to see your own stylistic vision. When you create notable curtains the public will start to demand more of them. This means that you will need to set up a system which allows you to gain access to other parts of the bedroom, either through pictures, or through visual descriptions. If you do this, then you can truly create a product that the person will love. Once you go into business with the public, you really need to consider the costs of fabric in relation to thread count. It is no secret that blankets and curtains with higher thread counts cost more money. When you provide custom designs to them, such as unique colours and embroidery options, the cost might rise a bit more. You need to be upfront and honest with all clients so that they understand what they are paying for. Always provide top-level work, and never take on a custom colour job that you will have trouble locating. Bedroom accents which are unique provide a great opportunity for people to go into business for themselves. Once you establish a set business plan, then you will see why this could be a lucrative venture. Study up on some of the more popular bedroom blanket and curtain designs throughout the UK, and offer your own spin on them. People will love the fact that they can acquire a one-of-a-kind piece that their friends will envy. Set yourself up for success by offering plenty of customisable options on a larger scale, and the public will love you for it.